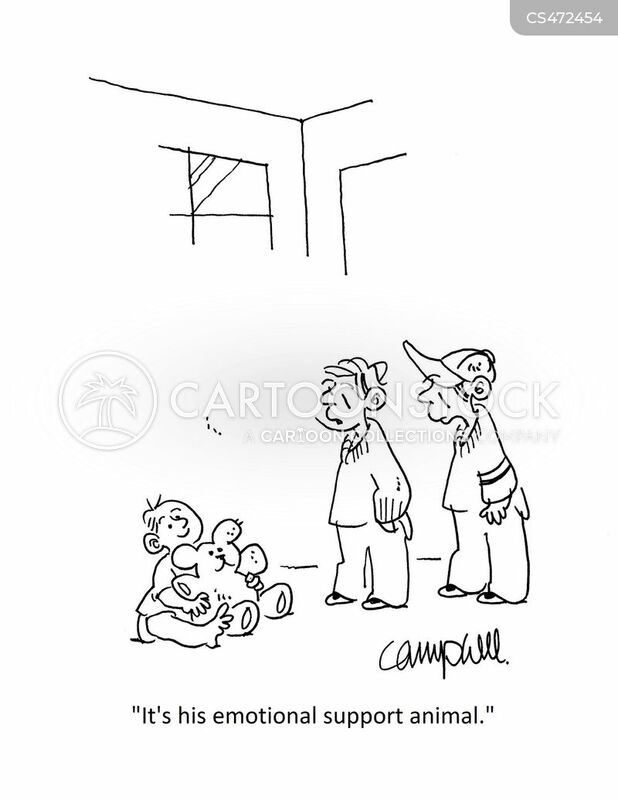 "It's his emotional support animal." 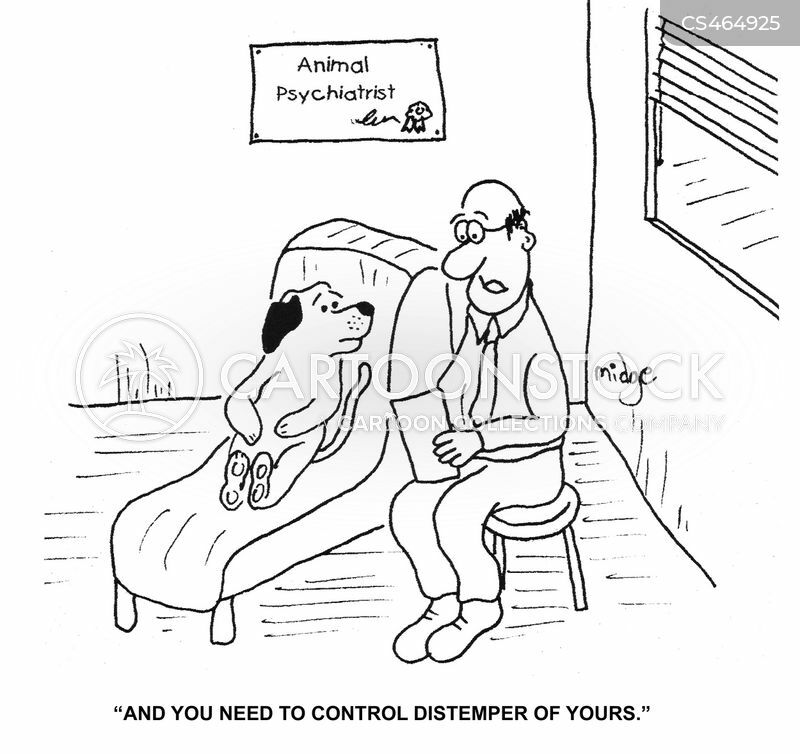 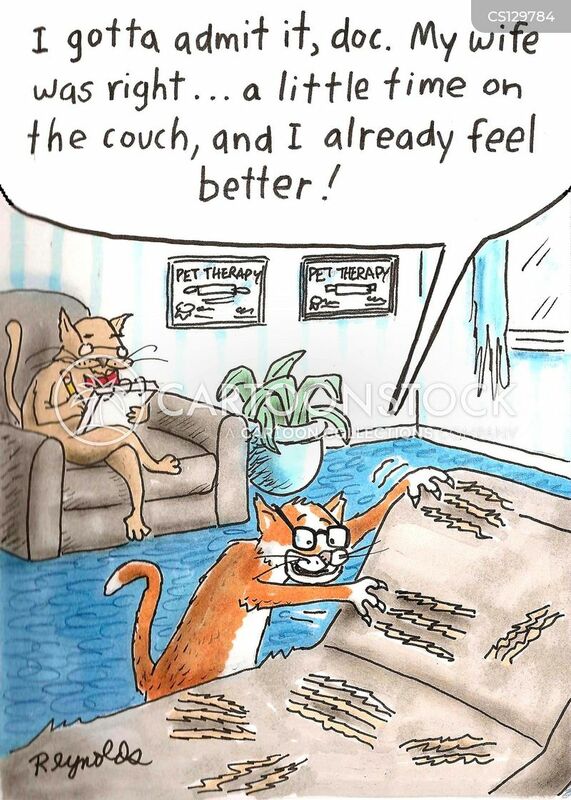 "And you need to control distemper of yours." 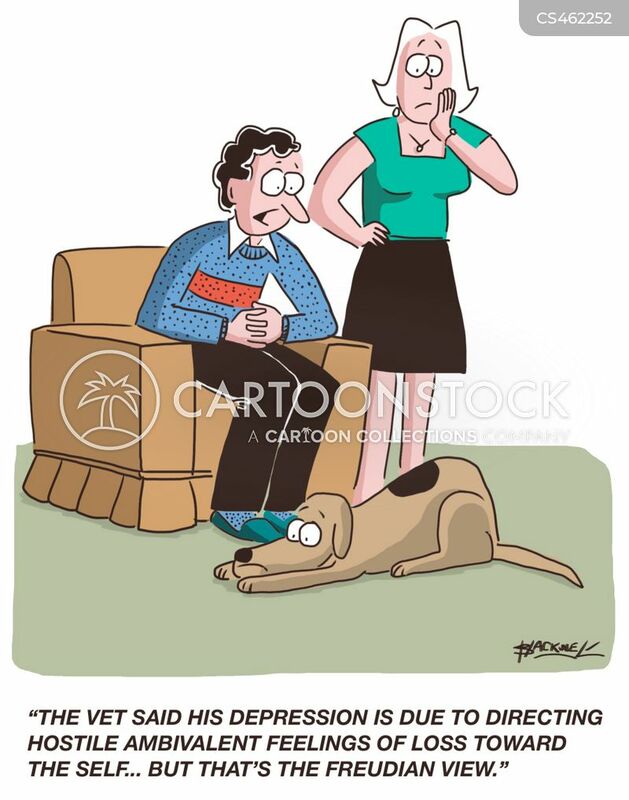 "The vet said his depression is due to directing hostile ambivalent feelings of loss toward the self...but that's the Freudian view."